Jeremy Moseley defends sophisticated clients in complex commercial litigation, in particular involving mass torts, class actions, and multidistrict litigation. He has developed significant experience managing and defending mass actions across a range of industries and practice areas. Jeremy serves as national strategy and defense counsel to GE Healthcare in the resolution of more than 750 personal injury and wrongful death claims involving one of its healthcare products. In this role, Jeremy has directly participated in more than 85 successful settlement negotiations. He also represents insurance giant USAA as national counsel for its medical payments or PIP coverage cases involving claims of bad faith nationwide, including handling class actions in multiple states. 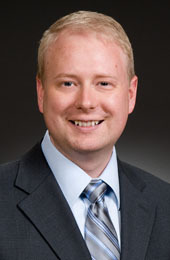 Prior to joining those client teams, Jeremy handled the defense of over 250 pediatric dental claims. Jeremy is very knowledgeable of industries including medical devices and pharmaceuticals, insurance, extended care, professional services, and consumer products. He excels when the stakes are high and when the nature or volume of litigation creates complex challenges for which ready-made solutions may not exist. Jeremy's experience evaluating, prioritizing, and defending such matters helps clients strategize and make decisions at every stage of litigation. Prior to joining WTO, Jeremy helped mediate approximately 200 settlement conferences as Senior Judicial Clerk to Magistrate Judge Michael E. Hegarty. 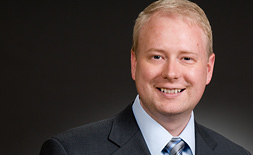 Jeremy Moseley has significant experience managing mass and class action defenses nationwide. He has also won multiple complex commercial trials. Jeremy's experience includes such highly regulated industries as insurance, healthcare, medical devices, telecommunications, and oil and gas. Representing USAA in a putative class action in Montana regarding USAA's handling of claims for medical payments coverage. Serve as national resolution counsel for GE Healthcare in pharmaceutical products liability litigation by providing strategic advice, overseeing the evaluation of hundreds of claims, and managing the day-to-day implementation of the client's strategic goals, resulting in the successful resolution of hundreds of millions of dollars in potential claims. Defended a pediatric dental practice group against over 250 claims of malpractice, resulting in a favorable settlement. Serve as consulting and monitoring counsel to USAA in bad faith lawsuits involving medical payments and PIP coverage nationwide. Represent manufacturers in matters involving potential exposure for claims related to various products and manufacturing processes. Advise manufacturers, distributers, and suppliers in litigation arising out of contractual disputes regarding questions of liability. Represented a commercial tenant in a lease dispute. After WTO won partial summary judgment, the case settled very favorably. Developed a novel argument for summary judgment in a case of first impression in Colorado. The case, which involved ERISA disputes and contractual time limitations, reached a favorable resolution for the client while the motion was pending. Represented an oil and gas company in a breach of contract case concerning the purchase of oil and natural gas assets in Colorado. Successfully appealed a family law matter of first impression in Kansas state court for a pro bono client. "The Fourth Amendment and Remote Searches: Balancing the Protection of 'The People' With the Remote Investigation of Internet Crimes," Notes, 19 Notre Dame J.L. Ethics & Pub. Pol'y 358 (2005). "Company Stocks can be an Improper Investment for Employee Investment Programs," Kansas Employment Law Letter, Vol. 11, No. 5 (August 2004).